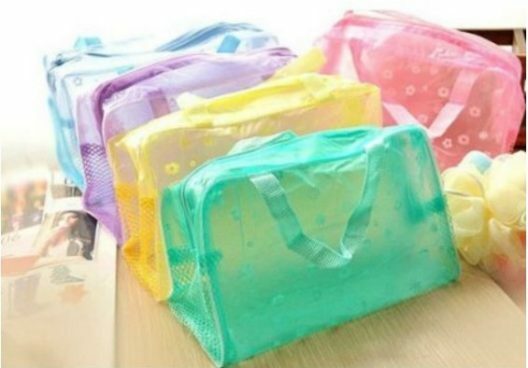 Makeup Beauty Storage Traveling Bath Bags Just $2.28 SHIPPED! You are here: Home / Great Deals / Amazon Deals / Makeup Beauty Storage Traveling Bath Bags Just $2.28 SHIPPED! How cute are these Makeup Beauty Storage Traveling Bath Bags? Right now, you can get them for as low as $2.28 each on Amazon! Plus, shipping is FREE! Choose from Pink, Yellow, Green, and Purple. I love that they zip closed and have two mesh pockets on each side.